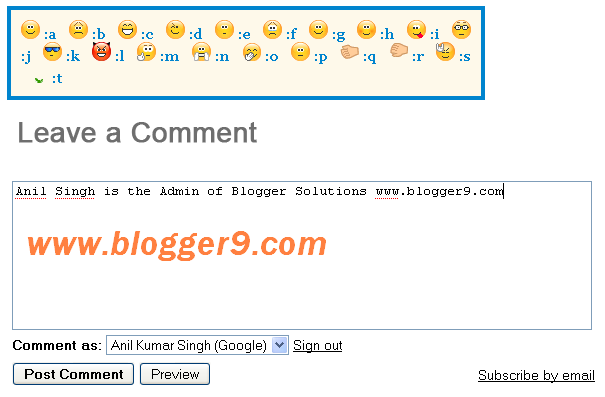 Hi Friends by this trick make your blogger comments Emoticons compatible for commentators. * After above step find this code <h4 id='comment-post-message'> By CTRL+F key. * Now again Find this code </body> By CTRL+F key. 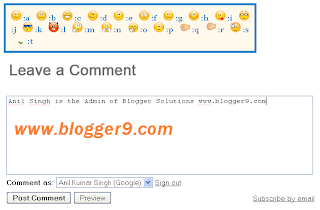 * Now click to save your blogger Template now step compleated .